We arrived at the Koru Dojo after winding through a gravel road in the middle of what seemed like nowhere, somewhere in the Coromandel region. The dojo was nothing short of a magnificent and ambient structure, home to David Lynch and his wife Hisae-san, a couple with a great caliber in the art of Aikido. 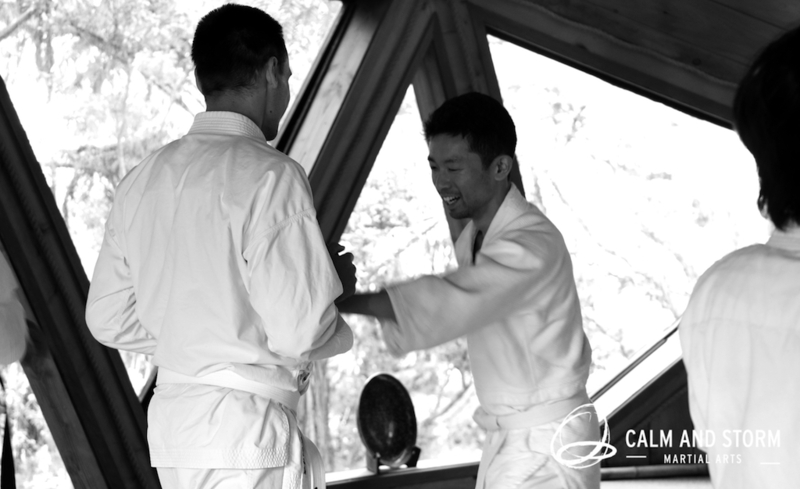 The dojo, designed in a dome shape, was crafted intricately with beautiful timber, and the sunlight trickled through the windows and gently poured onto the mats. The delicate sounds of the stream nearby could easily be heard, and you could not help but to feel a sense of serenity with each breath you take. Shortly after our arrival, with not a moment to waste, we had begun our first Aunkai class for the 5 day gasshuku with Akuzawa sensei. Now, I must note that I am a complete beginner of Aunkai. My background is in Aikido, and I am no expert in this field either. Whatever I express to you here is purely my interpretation of the art from my very limited experience of Aunkai. Although I would love to talk on and on about everything that I had digested and absorbed throughout the week, I have summarized three key points that I thought was worth mentioning. To stand, or not to stand. Working in the alternative health sector, I know how important it is to have a good spinal alignment for general wellbeing. During the week, however, I was astonished by how it can be applied to enhance the effectiveness of hand-to-hand combat. In fact, it now seems completely counteractive to NOT utilize such skills. Sensei would say repeatedly “You have to learn how to purely just stand”. What does it mean to stand straight? In fact, what is straight? Sensei would constantly throw challenging questions like these at us to really make us think, and I believe this was one of the key points of the week, especially for us beginners. The questions prompted me to challenge my current beliefs about the human anatomy and its applications in martial arts. Akuzawa sensei also taught us that if you do not have the courage to let go of your previous knowledge, you cannot learn anything new. So I basically became a sponge, squeezing out the old beliefs, and soaking up the new. From there, I began to learn how to stand. Pulling the chin back as if there is a string that extends from the top of your head to the ceiling, and allowing the spine to suspend naturally until your hip girdle feels like the end of a pendulum. I now incorporate this posture not only in the dojo, but in my day-to-day activities. Extending from body structure training was the application of it against an opponent, and I think everyone would agree with me that this was more fun no matter how important it is to practice the foundations. 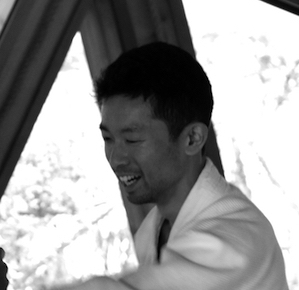 One of the highlights of the gasshuku for me was to learn how to take a hit. It sounds simple, and sensei certainly made it look simple, but I was blown away by the intricacy of it all. When you are being attacked by an opponent, let’s say a punch or a kick, our basic instincts are to counter it with strength, or divert away from the strike. Instead, when you come in contact with the opponent’s attack, you can redirect their force whilst maintaining the superficial strength of your body, and relaxing your internal strength. This allows us to “link” with our opponent, and by using our bone alignment and centre of gravity, we can nullify their efforts to attack you. It was something beyond my comprehension, but it was fascinating to learn that you can consciously communicate with the opponent’s body and respond to their strength without using any strength of your own. One of the great things about the gasshuku was the group of people with unique backgrounds. Men and women, young and mature, big and small, tall and short, beginners and the experienced. There were also people who practiced other types of martial arts, from Aikido, Wing Chun, to Nihon Taijutsu. This meant that working with every partner was special. It forces you to experiment with the exercise given, and each person would challenge you to explore the possibilities of your movement. 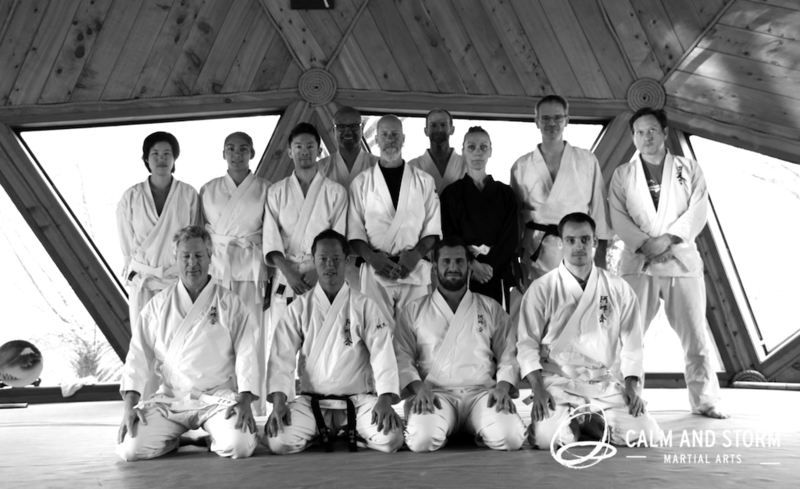 I felt so grateful, and maybe even a little bit spoilt, to practice with people who are so passionate about Budo. Between our training hours, during our meals, even into the late hours of the night, we would talk and practice the things we had learnt that day. You could say that we “lived” Aunkai for the whole 5 days. An experience I will never forget, and look forward to again in the near future. I would like to end this post by thanking some of the people who were responsible in making this gasshuku happen. Firstly, I would like to thank Akuzawa sensei for travelling all the way to New Zealand for the weekend seminar in Auckland, as well as the Coromandel training camp. 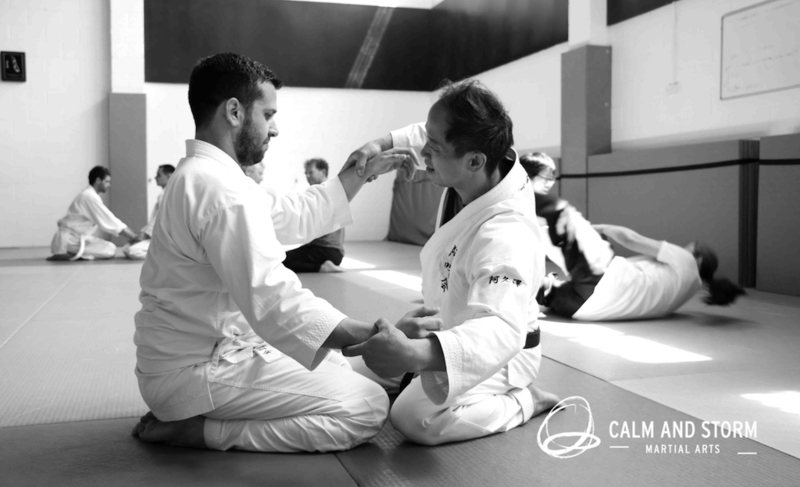 This was my first meeting with Akuzawa sensei, and I was grateful to have the opportunity to do so. It was an eye-opening experience and I cannot wait to visit Sensei’s dojo in Tokyo. A big thank you to Filip for bringing all of this together! I am sure it was not an easy task, but everything came together seamlessly and we are all very grateful for all your efforts. Another big thank you to David and Hisae Lynch for hosting us at the Koru dojo. Your kind-hearted hospitality touched us all, and the meals that were provided for us far exceeded my expectations. Finally, I would like to thank all the people I got to meet during this 5 day trip. I cherish every friendship I have developed during our time in Coromandel, and I look forward to the day we can share the mat once again. Kohei trained Aikido for 5 years during his teens. He then switched to Hip Hop dancing, performing shows, competing, teaching, and directing across NZ, Australia, and Japan. Alongside that, he trained in naturopathy and offering his services through Iguchi Natural Health. 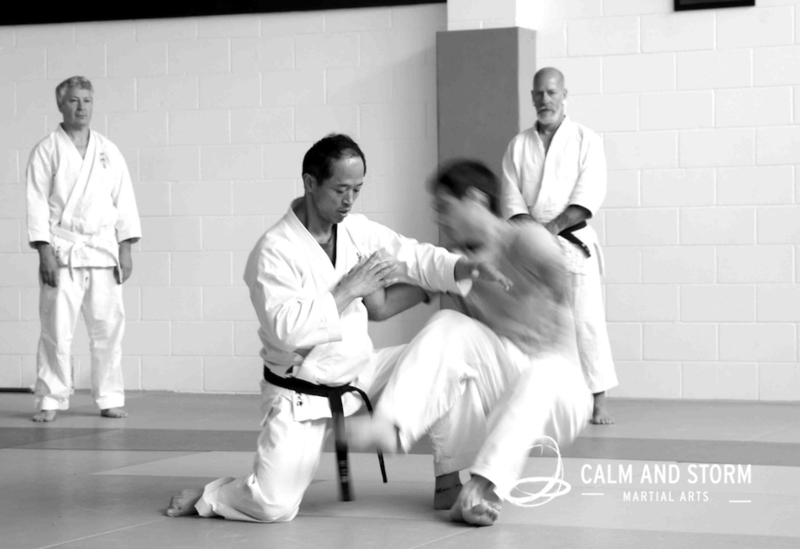 In 2015, Kohei returned to the martial arts in 2015 at Calm and Storm Martial Arts, where he now trains both Aikido and Aunkai.